By Queen. 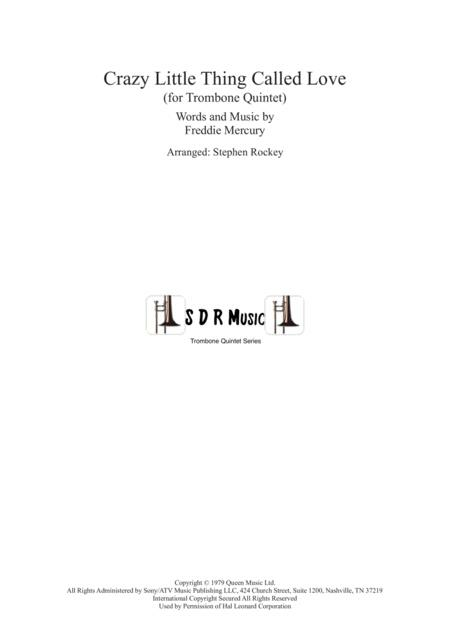 Arranged by Arranged by Stephen Rockey. Score, Set of Parts. 36 pages. 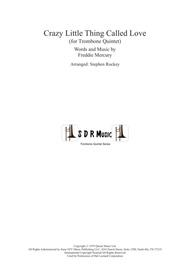 Published by Stephen Rockey (H0.396217-171475). Crazy Little Thing Called Love for Trombone Quintet. A fun piece with solos for most of the group. Alternative parts for Bass Clef, Tenor Clef and Bb Treble, and a Treble Clef Eb for Tuba. .